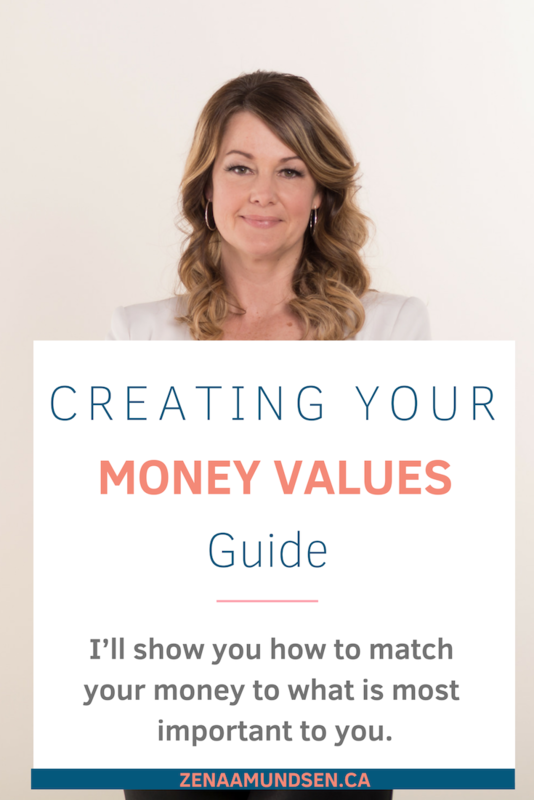 Everything you need to know to create your money values guide – I’ll show you how to match your money to what is most important to you. Think Marie Kondo but with money. (I highly recommend her book, The Life Changing Magic of Tidying Up.) The author is a master of decluttering and organizing. She believes that you put your hands on everything you own, hold it close and ask yourself if it sparks joy, and if it doesn’t, thank it for its service and get rid of it. Now it would take a lifetime if we tried this with every dollar we earned, but the concept can be adopted. 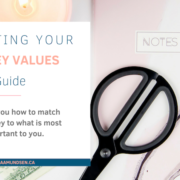 If you want to bring clarity to your money and your decisions then it is fundamental to understand what your priorities and your values are. Easier said than done, so I’m going to give you the Financial Values Mind Map to download and complete. Before you start, you might be asking, what are personal financial values? Simply put—your values represent what is important to you. They are the choices you make and why you behave the way you do. Our values will help us grow and develop. Every day we make decisions that are a reflection of our values and beliefs and they are directed with a specific sense of purpose and meaning. The purpose is what is needed to bring a collective and collaborative approach to our lives. When our values are shared within a family, we build a positive, healthy, and thriving unit with the benefit of being able to prioritise effectively. After reading this and completing the Financial Values Mind Map , you will have a framework for your financial decisions. Life will get simpler and money choices will become easy. My business and my personal life use this map to guide our decisions. We avoid a lot of pressure and stress by staying true to what we believe is the most important to us. Our money then flows where we want it to and it matches with what we think is important. I am a fan of Simon Sinek, author of Start with Why: How Great Leaders Inspire Everyone to Take Action. He has inspired a movement that asks, “Do you know your Why?” Your Why is the purpose, cause, or belief that inspires you to do what you do. This same concept should be applied with your money. When I meet with clients, we discuss why their money is invested the way it is, why they spend the way they do, why they save, and so on. Everything has a purpose with a why behind it. We often talk about priorities in life, but how many of us have actually taken a moment to stop and write down our priorities on paper? Have you spent more time making a grocery list than you have spent writing down what is important to you and why? The key is to identify the things that are most important to you at the core. You can have many values in life but you just need to discover the one or two that are your highest priorities. So, let’s map out your family values and why they are important to you. http://zenaamundsen.ca/wp-content/uploads/2019/03/Zena-Pinterest-2-1.png 450 810 admin http://zenaamundsen.ca/wp-content/uploads/2018/05/Zena-Amundsen-Logo.png admin2019-03-17 18:10:482019-03-18 02:17:32Everything you need to know to create your money values guide – I’ll show you how to match your money to what is most important to you. I want to share with you the money management system that changed my life. It is a concept of creating and using a cash-flow system for sustainable money management versus a budget. Drop the word budget from your vocabulary and replace it with a cash-flow system. 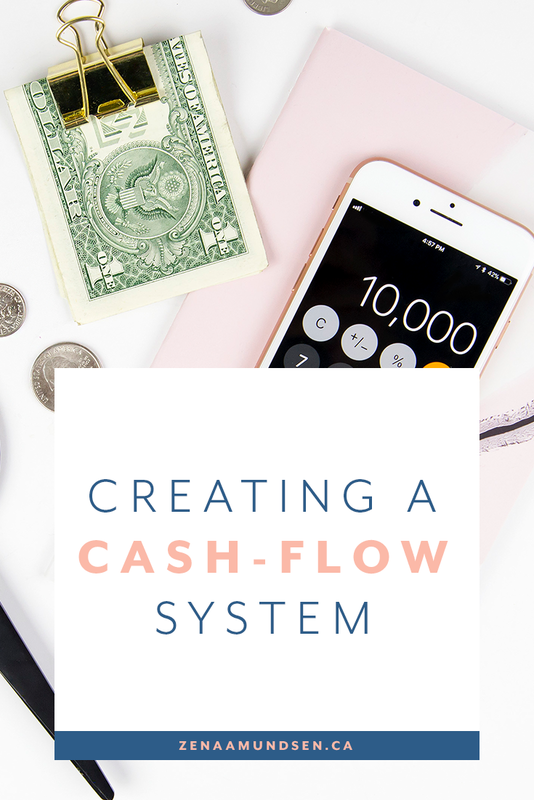 What is the cash-flow system? It’s a way of setting up your money management, so what needs to get paid is paid first. 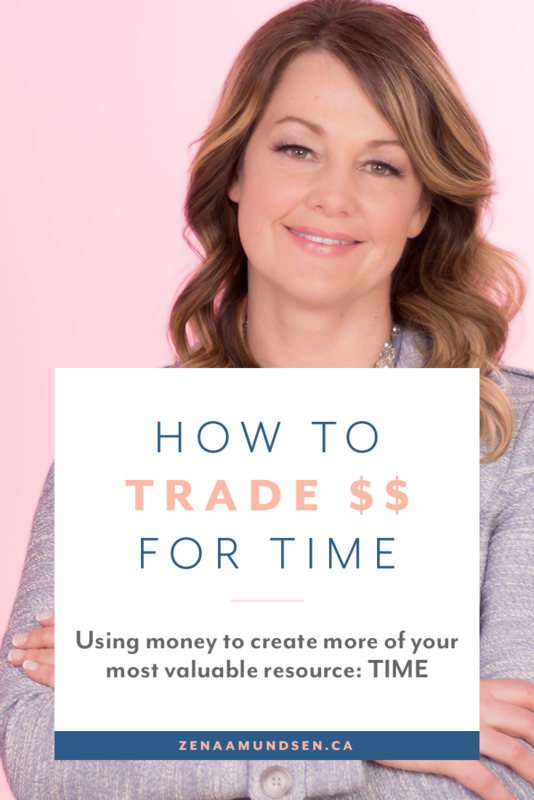 This system is a way to control the flow, the ins and outs, so that you have peace of mind that you are putting your money exactly where you want it to be. First, all of the fixed expenses (the essentials that must be paid) are covered and on automatic. 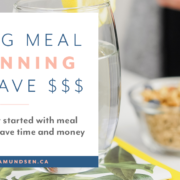 Then, we create a plan for your variable expenses by taking the leftover amount from your income (after the fixed-expenses) and dividing that by 4 weeks to get the weekly allowance that you can spend as you choose. Tip – Fixed expenses are the bills that must be paid like mortgages, loans, utilities, insurances, retirement, and savings. Variable expenses are the expenses that you can control and that fluctuate like groceries, clothing, entertainment, and other personal spending. This system means once your bills and ‘must be paid’ expenses are covered, you spend the rest as you choose using your weekly allowance. No tracking your variable expenses! I used this system on my family and practiced on them for six months before sharing with my clients. I remember thinking, “It can’t really be that easy”. But it was! Once we implemented this system I felt less spending guilt and less stress. 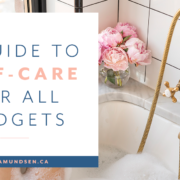 The weekly spending money is guilt-free money to spend as you choose, knowing that you’ve taken care of all the other buckets – the ‘must be paid’ fixed expenses. The beauty of this cash-flow system is that you get to spend your weekly allowance on whatever you decide is important. You can spend without remorse because you have ensured all of your other buckets (fixed expenses) are full and on automatic. I love it because I don’t have to cut everything I love from my budget. That’s the old-school way of thinking. Every time I would go to the bank and stand in line, I would see a sign about the “latte factor” shaming people over how much they are spending on coffee each year. But, I love my specialty coffee! I can’t imagine starting a work day without a grande chai with skim milk and a shot of espresso. I am happy to spend a portion of my weekly spending money on my coffee. I happily pack my lunches and menu plan in order to save the money and choose my spending on a coffee. I have even joked about choosing no name toilet paper and no name face cream so that I can spend money on something else – like coffee! 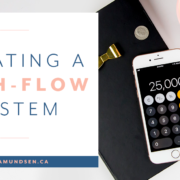 Using this cash-flow system means you don’t have to cut everything you love from your budget. There is a prioritizing mindset that kicks in and allows you to spend on the things that are of value to you. This creates guilt free spending. If you haven’t taken stock of your fixed expenses yet, head over to this post to do this first. Set up a separate fee-free account with a debit card for just your weekly spending amount. Once a week, review your spending for the week and replenish the account with that week’s amount. You can download my Cash-Flow Planner here. 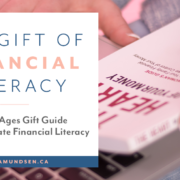 This holiday season, give the gift that lasts a lifetime -financial literacy. 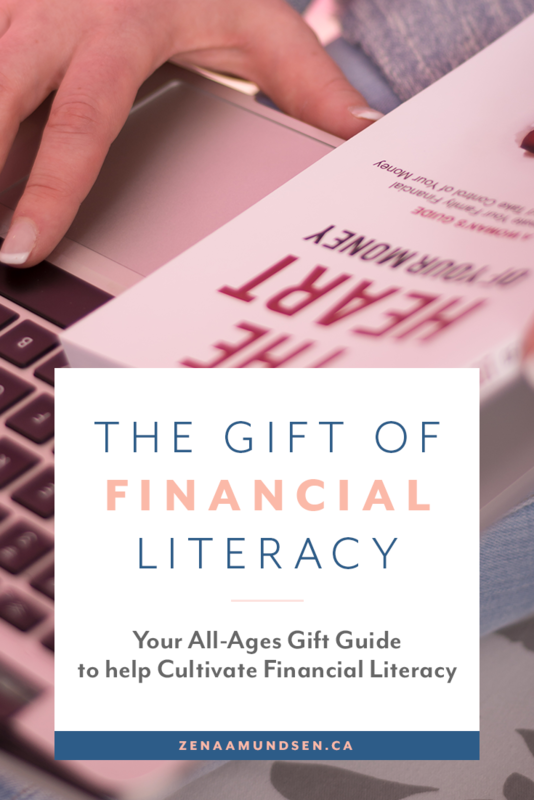 Here are a few ideas to share with family and friends to help promote financial literacy this holiday season. It’s never too early to start children thinking about the concept of money and a great way to do this is through the use of stories. The book, Berenstain Bears’ Dollars and Sense, by Stan and Jan Berenstain, tells a story of Mama bear giving her cubs an allowance. Another book for teaching kids about money is Benny’s Pennies, by Pat Brisson. I like this one because the small boy, Benny, buys meaningful gifts with his pennies. The old-school piggy bank can teach kids about saving and accumulating. The habit of putting away cash will last with them a lifetime. Loose Change is a board game that teaches counting money. Players try and add up their cards consisting of nickels, dimes and quarters. We all know the board game Monopoly. Children learn about taking risks in finance, even if it’s with play money. They learn risk vs. reward. Another game (more complicated) is Settlers of Catan. It involves building colonies, cities and roads by obtaining and trading resources and materials such as brick, lumber, wool, grain and ore.
An allowance on a debit card that is attached to your own bank account, allows you to transfer money as an allowance. This can teach kids financial responsibility. You can give them a card with an extremely limited amount on it that you can transfer weekly or monthly. Generally for children under 16, the student debit cards have no additional banking fees. The card will teach them the connection between plastic and physical cash at an early age. It will also teach them budgeting. For example, if a teen tries to splurge, he or she may find they hit their balance too soon and they will have to wait to earn more. Movie Pick – Moneyball This movie follows the Oakland Athletics baseball team’s strategy of using economics to recruit B-list players, with winning results. The movie uses the concept of baseball players being valued in terms of dollars paid for bases. The key is to keep learning about money fun, so kids don’t feel like they are learning at all. I often reminisce back to when my daughters were young. Maybe I shouldn’t have let them cry it out as one-year-olds. What if I had nursed them longer, would they have no allergies today? “I should have, I could have” plays out in every woman’s head. All the love in the world isn’t going to shelter us from making mistakes. The challenge that comes from this is being able to embrace our humanity and not punish ourselves. We all need self-compassion and self-love. The same is true with our relationship with money because how you feel about yourself will affect how you handle money. Also, how you handle money will affect your children. This is a cycle that can become positive. By creating a thriving, abundant, healthy attitude with your own money, you can then pass on that same healthy attitude to your children. Like a sponge, they will soak up the attitudes and beliefs around them, even when you think they are too young to understand. 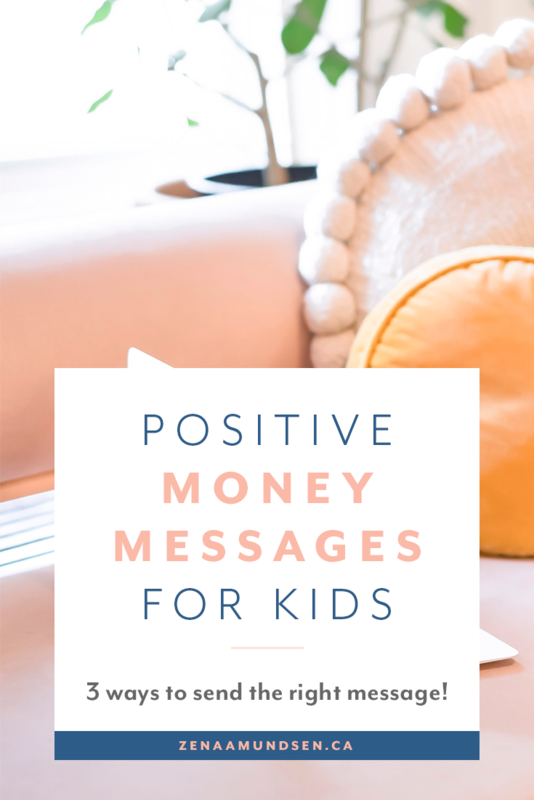 Teaching our children about money is more than a conversation. It is making a commitment to recognizing our own personal money stories. As a parent, we can define what money means to each of us and then decide what values and beliefs we want our children to grow up with. However, our words and wants need to align with our actions. When they don’t match, our children will notice. My older daughter Mikayla and I were recently out for a walk around the park with our dog. We were chatting and enjoying the beautiful sunset and summer weather. I had mentioned that it would be nice to plan another family vacation to Tofino and rent a house on the beach. I stopped abruptly in the middle of the walking path with our dog, causing the couple behind us to have to swerve to the side to go around us to avoid a pile-up. We had saved and planned for that trip and had plenty of money. My initial reaction was very defensive. I thought I did everything I was supposed to as the leader of my tribe—we had the cash flow plan, we knew our family priorities and values, and we communicated. I thought we felt free and unconstrained because of our positive abundant harmony. I think the answer is I tried too hard. 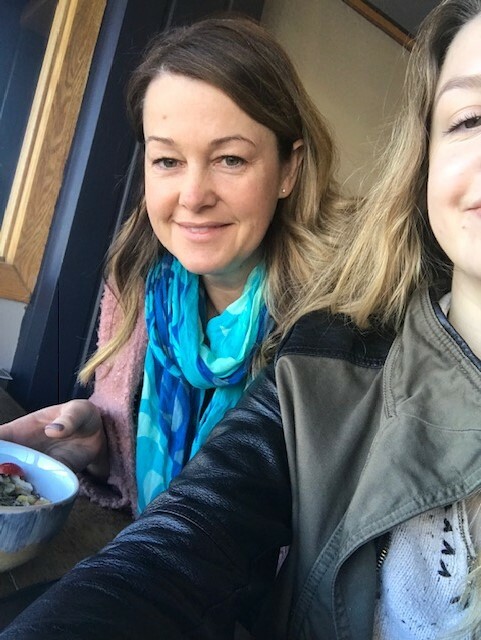 My daughter shared with me that she would hear a few conversations in the kitchen of me and my husband checking in with the prices of the surf lessons or the price of the groceries. It was routine conversation to me and part of my cash flow process, but those discussions projected worry on to my daughter. As parents, we aren’t perfect, no matter how hard we try. 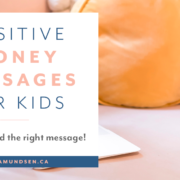 We want to install healthy habits and to lead by example, but sometimes it is easy to skip the positive money message because of our own negative thoughts and beliefs. 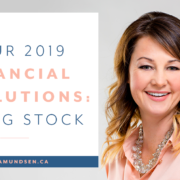 Get your own finances in order so that you can show your children by example that you are thinking of the future and making conscientious decisions for the family. Be a financial leader. Teach early. Our children are never too young to learn healthy habits. Even toddlers can pick up on our attitudes and actions. Communicate in a positive manner about money. For example, if bills come in the mail, it is easy to throw a few choice, negative words around and make a comment about not having enough money to pay all the bills. You might be venting, but a child might think you literally mean you have no money. Worry and fear could become associated with common bills. I don’t mean the chocolate cravings I get every morning with my coffee. I mean deep down, in the centre of your core, what are you craving? 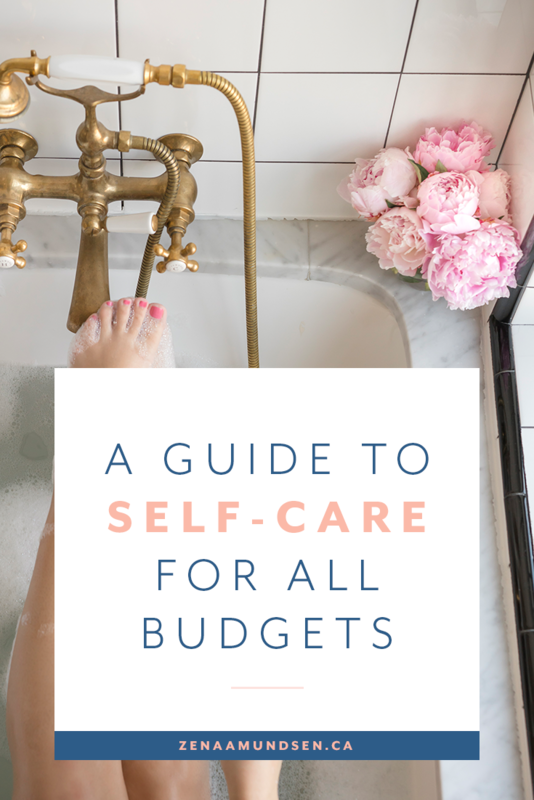 Whatever it is you recognize that you need, I bet self-care is somehow involved. My most memorable time of needing self-care and self-love was when I found myself having to rebuild myself after my husband had left. It is what sparked my journey with money. And, it is how I found out that my journey with money and becoming financially independent started with loving myself. Self-Love = Self-Care = Motivation to become financially healthy. I still struggle with this. There are days the gremlin talk is loud and my feelings of self-worth plummet. I just want to hit survival mode. Coincidently, this is when financial health plummets as well. My countermeasure is to start with practicing self-love and care. Here is your reminder to love yourself, take some time out for yourself and dig deep to understand what it is you are craving. Classes can range from $100-$500 for an 8-week session. If that doesn’t fit your cash flow, try an app on your phone (Aura has a free trial and Deepak Chopra offers a free 21 day guided meditation). Find a connection that is uniquely just for you. Try coffee with a friend that loves and supports you or connect outside somewhere in nature. These connections are free and won’t cost you anything. A pricier option would be to attend a one day retreat or weekend retreat. These can cost up to $200 a day, not including travel. Pamper yourself with a spa treatment. If the local spa cost makes you cringe then carve out the time at home to splurge. Put on your housecoat, have a bath and relax at home on your own for free. http://zenaamundsen.ca/wp-content/uploads/2018/11/11122018-Zena-GuideToSelfCare-Facebook.png 628 1200 admin http://zenaamundsen.ca/wp-content/uploads/2018/05/Zena-Amundsen-Logo.png admin2018-11-12 05:00:442018-11-10 05:05:16What are you craving? October is about the time that I start to get off track with a few things: my time management, going to the gym, eating healthy and you guessed it, money. Want to know what I found is the #1 thing that helps in all of those departments? This is not only a money saver, but I consider it a sanity saver. When my daughters were in middle and high school, they both swam on competitive swim teams. We were out the door in the morning at 5:00 A.M. and home after swim practice at 7:00 P.M. I have never been so busy in my life! This is when meal planning started in our house. We were spending way too much money on takeout. My waist and bank account were suffering. I learned to prep a few meals on the weekend and I bought a slow cooker. My family has not let me forget my first slow cooker meal to this day. I had prepared chicken noodle soup and turned it on in the morning. By the time we sat down in the evening for supper, the soup was a mushy dumpling of goo because I had added the noodles in the morning to cook for 10 hours. It was disgusting but I made everyone sit and eat at least half of their bowl. I was determined to stick to the plan. That is how I remember the beginning of our meal planning. 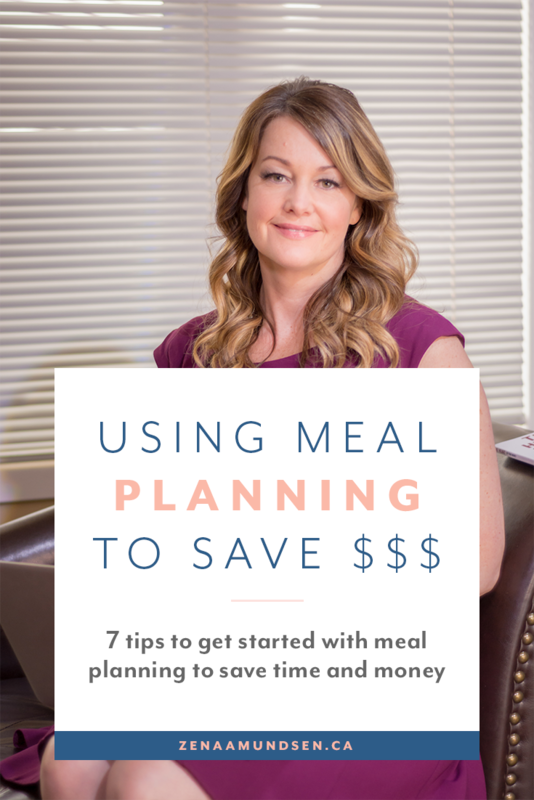 Here are a few ideas to help you get back on track in the meal department. I’ve also included my new favourite slow cooker recipe. Don’t worry, it’s not my chicken noodle goo soup! Prepare meals on Sunday or tomorrow’s meals at the end of every day. 1. In a skillet over medium-high heat add your oil, and brown beef in small batches. Remove from pan, and place in slow cooker. Continue until all beef is browned. 2. Turn heat down, pour a little more oil into pan, and add your onions, carrots, and celery stirring for about 5 minutes. Toss in garlic. 3. Pour in a splash of beef broth, and scrape up all the brown bits from the pan. Add contents into your slow cooker with beef. 4. Add remaining beef broth, bay leaves, soy sauce, ginger, and a pinch of salt & pepper to the slow cooker. Toss in your barley and cover. 5. Cook on low for 6-8 hours. Serve with mashed potatoes, noodles or rice. I’ve just released my 2018 Holiday Savings Challenge – and you might be thinking it’s a little bit too early to start thinking about the Holidays. And normally, I’d be one to agree with you. 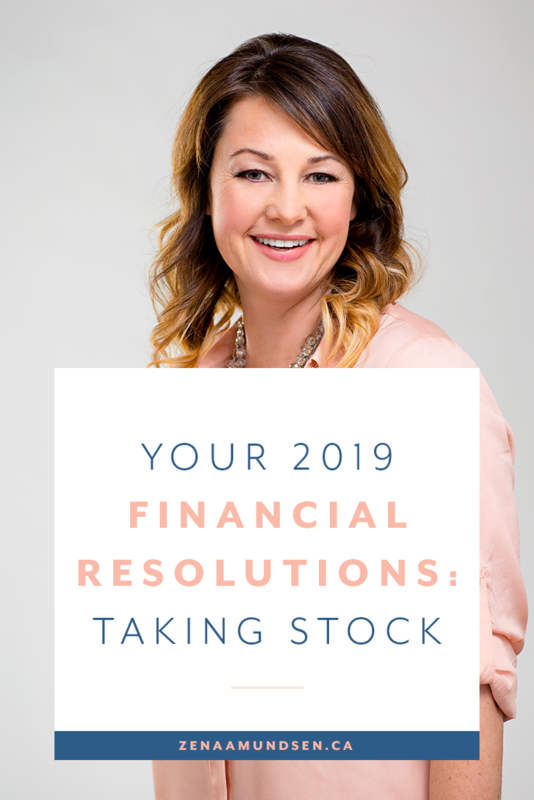 But starting to think about the financial implications of the holidays can’t come too early and by starting early, you’ll be able to save all you need without even really noticing it or having that after the holidays guilt fest when the credit card bills come rolling in. I’m going to get honest here…..I created this holiday challenge out of necessity for myself. I am that unprepared, frantic, crazed-looking lunatic on December 24th trying to find gifts for family members. And in my last minute pursuit I often swing in one of two emotions (1) Scarcity or (2) a Sense of Defeat while overspending. My December 24th shopping in Scarcity has me buying the cheapest item that has no meaning or love within the purchase. It is treated as a begrudged event. The other holiday shopping monster that sometimes rears its head is one of overspending out of desperation. When this happens it is because I didn’t plan ahead and I can’t think of a gift idea. I end up purchasing an outrageous and expensive gift last minute. Both of these shopping failures leave me with a money hangover guilt. My scarcity loop leaves me feeling guilty and realizing I spent money on junk. My overspending leaves me with a punch to the wallet. 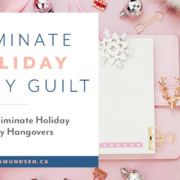 The Holiday Challenge will eliminate the guilt because you will have a template and plan to guide you through the spending frenzy. It’s easy to get lost in the noise and pressure of the holiday. 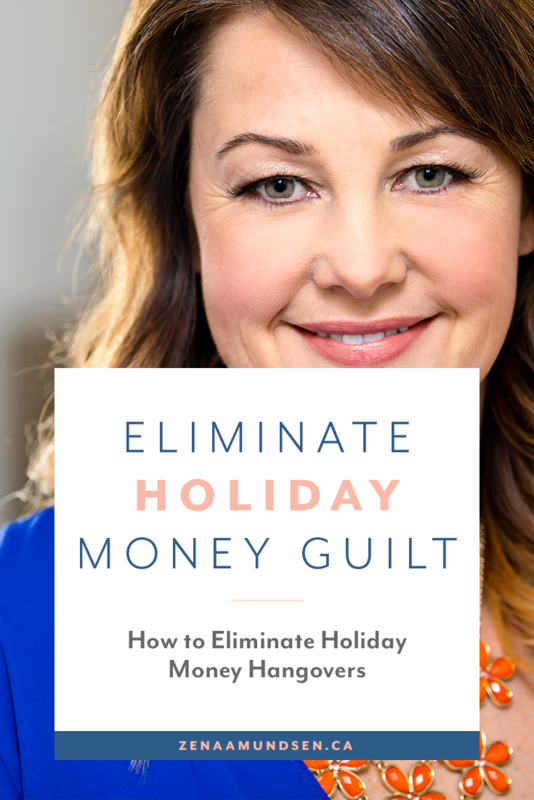 So if you want to avoid the Holiday Money Hangovers with me, sign up for my FREE 2018 Holidays Savings Challenge for your Holiday Savings Planner and helpful tips on how to best prepare delivered straight to your inbox! 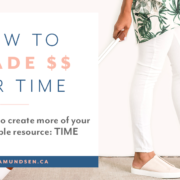 Using Money to Create More of Your Most Valuable Resource: Time! A few years ago, I led my family through a financial experiment. I used my financial designations and experience to create our own family money value system. 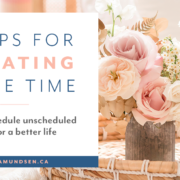 It was at this stage in our life that we were ready to take the next jump into exploring our true family value of ‘freedom,’ where freedom means more time, more options, and more ways to free up the clutter in our lives. This experiment is what led to the stories and experiences that I share in my book. I learned that money isn’t the only valuable resource in life. There is proof that spending money to buy back time can make us happier. Studies in Canada, Denmark, and the Netherlands show that happiness and life satisfaction does not come from income or wealth. Instead, buying time promoted happiness. Let’s face it, we are a society in a time famine. Think about the one thing you hate most spending your time on. Now think of a way to buy yourself out of it. House cleaning – Hire a weekly service or schedule a Fall cleaning. Assembly – If a cold sweat starts at the thought of building your IKEA furniture or your new BBQ, then pay the extra dollars and have it assembled. Home Organization Consultation – Sometimes a clean slate is all it takes to alleviate some of the clutter. This is money well spent. Tech Set Up – The TV, sound system and computer may have come with instructions, but do you really want to spend days figuring it out? Meal Service – This one is a must in my family. Half of our weekly meals come from a meal concierge service. I have even given up the pick-up option, and I now pay $8 a week for delivery straight to my door. Online Grocery Shopping – This option has helped with not only time but also cash flow. With the online cart, you can see your subtotal add up and make any changes to your cart to match your budget. It is a foolproof way to stay on top of the money. Bonus, they will deliver, and you don’t need to leave the house. Yard Care – Hiring someone to mow and weed does not make you lazy. The pressure of maintaining the yard after a long workday can make anyone cranky. I have even hired a company called, The Poo Crew in the Spring to help with the dog bombs in the backyard after the winter melt. Life Coaching – Five years ago I was feeling pressure and stress and felt like I didn’t have time for anything. I hired a life coach that helped me prioritize and get back on track. I had accountability that made me more productive and allowed me to add some more fun to life. Pre-Booking – When you are at the hairdressers, dentist… try pre-booking the next appointment. This will eliminate the missed phone calls and returned messages when trying to schedule appointments. 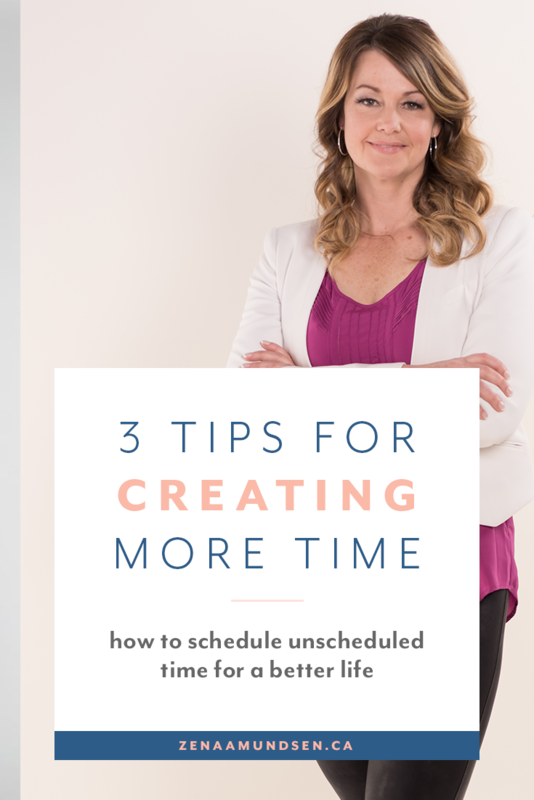 Virtual Assistant or On-Demand Personal Assistant – I have outsourced all of the little time wasters that cost me hours. A virtual assistant can book holidays and appointments, update your calendar and make online purchases for you. This isn’t permission to abandon all money sense and empty your bank account on whatever you want. The point is to use your money smartly to align with the things that are important to you. Spending this way feels good and can leverage more happiness in your life. http://zenaamundsen.ca/wp-content/uploads/2018/09/09102018-ZenaAmundsen-TradeMoneyForTime-Facebook.png 628 1200 admin http://zenaamundsen.ca/wp-content/uploads/2018/05/Zena-Amundsen-Logo.png admin2018-09-10 05:00:242018-09-09 05:25:55Using Money to Create More of Your Most Valuable Resource: Time!